I know what you’re thinking: Egad, a lawyer interview. This is going to be a tough read! 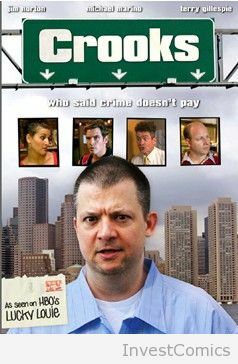 Just about two years ago I had a project where a director had optioned one of my scripts and had gotten involved in a film funding fiasco. It was one of those “you put up 10% and we’ll get the rest in a few months.” As it turned out the film (one of my favorite personal scripts) never got made. It sits on my shelf collecting dust, taunting me. As my forties creeped to the big 5-Oh, I decided to take things into my own hands and explore making my own micro-budget film. It seemed like a good idea. The problem was I had only a graduate screenwriting certificate and no film school, or filmmaking friends, to jump on board. Frustrated, I scanned the Internet for insights on producing a micro-budget film and found one gold nugget: an episode of ON THE PAGE (episode #141) had a guest entertainment lawyer who not only was an expert on producing micro-budget films; he had written a book geared to Hollywood “outsiders” like me who were struggling to figure out this whole movie-production-on-a-shoestring deal. documentary and television projects in which he has represented either a producer/production company or an individual providing services to the project. He has been a guest speaker at many film festivals and conferences, including Slamdance Film Festival and Film Independent’s Filmmaker Forum, in addition to lecturing at film and law schools in theLos Angelesarea. Paul’s book “Independent Film Producing: The Outsider’s Guide To Producing A First Low Budget Film” is required or recommended reading at film, business and law schools throughout the country including: UCLA MFA Producing Program; NYU Film School; Art Center of Pasadena; NYU Stern Business School; Southwestern Law School; and Chapman University Law School. He is licensed to practice law inCaliforniaandNew York. On a personal note, Paul was very receptive when I emailed him to tell him how much I enjoyed his book (I bought it online after listening to Paul’s ON THE PAGE guest interview) and to ask a few additional questions. Those “few additional questions” led to me asking if he’d take a look at my script and if we could have an initial consultation. Since that time, Paul has been instrumental in making sure I don’t teeter off the wrong path and in helping me to set up my film production company with the appropriate legal documentation. Paul is frank, honest, immensely experienced and reasonably accessible. Just the sort of guy you’d want on your team, even if he is an unabashed New York Yankees/Giants fan. 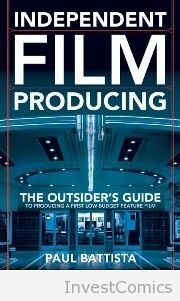 1) What prompted you to write “INDEPENDENT FILM PRODUCING: The Outsider’s Guide to Producing a First Low-Budget Feature Film”? (PB:) The idea for writing the book first entered my mind around 2002 when I was finishing up making the film “Crooks”. It matured during the following years as a result of my experiences while advising independent filmmakers in my expanding practice in entertainment law. I found myself covering much of the same ground and the same issues each time I spoke with a filmmaker; these issues became a foundation for the book. I finally decided to write the book that I should have had back when I started producing my own independent film. 2) What’s changed since the book came out in 2010 that you plan to update in the next version? (PB:) There have not been any radical changes since mid-2010; although I am slowly working to update the book. 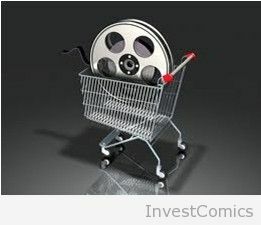 The process of going from idea, to raising funds to producing and achieving distribution for a low budget film has not changed that much in the last year and a half. My book explores the details in the process, and will help filmmakers to avoid the major pitfalls if they are going to expend the time, energy and money necessary to make an independent low budget film. The information remains relevant. There are, however, always changes in the law that one needs to keep up with. For example, Internal Revenue Code section 181 expired so it’s not available to taxpayers, but its disappearance has not, and will not, materially affect the process of raising funds and producing a low budget film since there were always numerous other tax laws (passive activity rules, etc.) that limited the amounts eligible under section 181, so it was never a crucial building block to producing a low budget feature film. The definition of “accredited investor” has changed within the securities laws as well, and there are currently bills working their way through the House and Senate which would change the securities laws for small amounts of crowd funding which will help low-budget filmmakers if they become law. So you can see that the laws relating to filmmaking are constantly evolving. 3) What are the three biggest rookie mistakes that newbie filmmakers outside the Hollywood circle make? (PB:) Is this usually my cue in the interview to say “failing to obtain proper and experienced legal representation?” (Laughs). Seriously, when you’re approaching investors you want to avoid THIS: and, in order to obtain distribution, filmmakers must comply with the Delivery List. So, as self-serving as it sounds, not allocating the funds to obtain proper legal representation is often a first-time filmmaker biggest mistake. And it can be a fatal mistake. A second mistake is not re-writing the script many times with the assistance of a professional script advisor throughout the process. A third mistake occurs at the time when the money is raised. Often a filmmaker will not allot sufficient time to continue to develop the film and complete pre-production; that is, he or she moves too quickly through pre-production. Rushing into production will unavoidably lead to mistakes. Unfortunately these early mistakes are built to last, and hard to overcome at the low budget level where the money that studios have to throw at problems is non-existent. 4) What was the biggest lesson you learned when you wrote, directed and produced your first micro-budget film? (PB:) That it’s much harder than it looks on paper! 5) When should you (or any entertainment lawyer) first get involved in a project, and for how long should you be involved? Are there any pending or existing legislation that is overtly friendly to filmmakers that is not being taken advantage of at this time? (PB:) Those questions could take a whole other interview, but there are some critical tips. 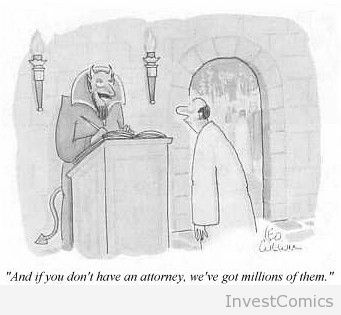 When you are thinking of approaching people to ask them for money, you should definitely have your attorney involved. 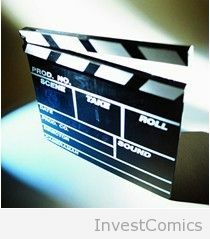 As a matter of fact, an experienced indie film attorney is critical from the moment you decide to enter into any agreement with any other party regarding your project, whether you are approaching someone to option their existing script, or deciding to co-write a script with someone, or entering into a co-producing agreement, etc. In terms of your question regarding the length of involvement, you should have legal help all the way through distribution. Legislation effecting filmmakers is always percolating. For example, crowd funding legislation that is pending can be very useful to independent filmmakers (depending on the details of any final bill (if passed). As I mention in my book, the State tax incentives are potentially helpful to low budget filmmaking. I say “potentially” because the minimum spending thresholds (and the costs involved) usually render the benefits moot to a low-budget filmmaker; however, most first-time low-budget filmmakers don’t take the time to investigate what (if any) tax advantages are available for their project. Bob, I know regarding your low-budget film “Unrest” that you have been investigating the possibility of partnering with a Canadian filmmaker to pursue the available Federal and Provincial tax credits and incentives. But, similar to the U.S. State incentives, there are numerous requirements, some of which automatically make low-budget films ineligible (the minimum spending thresholds, for example). the order of the “windows of distribution” been re-shuffled? (PB:) My involvement in distribution is currently providing legal advice/negotiation and legal drafting regarding distribution agreements, as well as providing negotiation and drafting of production-finance-distribution agreements between filmmakers and distribution companies (representing the filmmaker in these transactions). At the beginning of the 2000s through the mid-2000s I was providing producer representative services (sales) in addition to legal services to independent films. But as my practice grew, my focus became exclusively on legal services and not on attending the markets and networking with buyers. Producer representative (sales) services is an entirely separate business. We received distribution on “Crooks” through the relationships we built over the years, which resulted in an introduction through my former law partner, Mychal Wilson, to the distributor that picked up the film. Networking and relationships are always the foundation of deals in the entertainment industry; they can be newly formed relationships or deeper, more developed relationships. The odds of achieving success by blindly submitting material to a company are very long indeed (whether a treatment, script or finished film) — it’s the filmmaker’s direct relationship building that most often leads to desired outcomes. For example, I recommend that a filmmaker apply to as many film festivals as financially possible, and to make sure to attend every festival at which his or her film is accepted. Attending multiple festivals is not a small expense, but the most important benefit of attending the festivals is that it will lead to (should lead to) meeting other filmmakers and distribution executives, which will build the filmmaker’s distribution relationships. For example, it is not uncommon for distribution to be secured when one filmmaker who has received distribution recommends another filmmaker’s film to that company. distribution by screening at film festivals and then deciding that they do not want to use an established distributor with an “all rights”, “all territories” deal. Instead they can self-release their film and reach out to established companies which can provide specific services that the filmmaker can’t obtain on his or her own − for example, utilizing a video-on-demand (VOD) aggregator who will only license the North American VOD rights and not demand other rights which the filmmaker can continue to exploit. As I discuss in my book, the shifting landscape has a domino effect and the filmmaker would be wise to understand what this means in terms of his or her expectations for the film, the budget for the film, and other aspects of the project. 7) Let’s talk about micro-budget features. What trend(s) are you seeing here among your clients? What’s the sweet spot re: genre and budget for films that have the best chance of success (in your “non-legal” opinion)? (PB:) Well, in regards to this question, I would say I’m more “old school”. In the first place we have to define ”success”. In my book I define “success” as producing a film that looks to have cost 3-5 times the amount actually spent on the film. So my non-legal opinion is to focus on those elements that you can actually control. Perhaps even more important, be passionate about the type (genre) of film you are making. My experience has led me to the conclusion that trying to “game” the system regarding the genre doesn’t work. If the filmmaker is not excited about a genre, not interested in the topic, not 100% passionate about making the film he or she is making, then it is my non-legal opinion that he or she will fail to ignite the interest of those who watch that film. 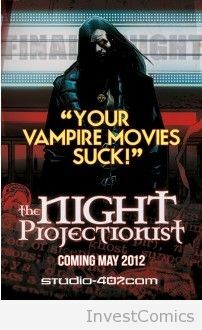 The latter is especially true in the low budget genre where the filmmaker does not have access to $100 million in cutting-edge special effects (with 3D glasses) to excite and distract the audience − it is solely about what the film is expressing that creates interest in watching low-budget independent films. I include a list of independent films at the end of my book which illustrates this point; however, the list contains films that illustrate this point to me − meaning another person would have a unique list of low-budget indie films that speak to him or her. In terms of distribution, as I state in my book, there is no accounting for what the “market” will embrace at any particular moment. It is, essentially outside the control of anyone, including the low-budget independent filmmaker − and supporting the latter conclusion is the scores of films that I have watched at the many film festivals I have attended over the last 15 years that have moved me but which have never achieved any formal distribution. In essence, they have disappeared. What are three of the coolest films that you’ve worked on? (PB:) That’s a tough question. To me, they’re all cool, and that’s not a “safe” response to dodge the question because, in fact, I have been very fortunate to be able to build my practice by working with “cool” people. By that I mean independent filmmakers who are excited about the genre they are producing, are completely interested in the topic, are 100% passionate about making the film they are making, and to me, that is “cool”. I guess I’m a bit old school regarding that aspect of indie filmmaking, too. 9) There seems to be a void of information pertaining to making micro-budget films, at least doing so “legally”. How has your book been accepted by the industry, and has it been used by film schools as well? (PB:) There had been some really good books out there before I released my book, but I agree with you, there has been much less information available on micro-budget films than the information available in the numerous books that focus on producing films “within the system”. But it is getting better in that I see new books being released each year specifically focusing on micro-budget films, which is great because I think the more information available, the better it is for filmmakers. In terms of the reaction to the book so far, I don’t think I can speak to the industry reaction but certainly I have received very positive responses from those who have read the book. Graduate film schools have embraced it and made it recommended reading, certain business and law schools have embraced it and made it required or recommended reading. I think Steven Beer’s quote to the effect that the book is “practical” and provides a guide regarding “the most challenging business aspects” of producing a low-budget independent film is illustrative of what a reader will find in the book. 10) How long should a newbie filmmaker allow to get a film off the ground once they have script in hand? (PB:) My advice would be to enter the process with no set time frame because each film has its own unique path. With that said, I do recommend approaching the process realistically, meaning that if a script is not getting traction, then write another script, and another script, and continue to increase your understanding and knowledge of independent filmmaking while continuing to network and pursue the funding necessary to make one of your low-budget scripts. In a word, continue to be “tenacious.” I have worked with filmmakers for whom it took years of dedication. 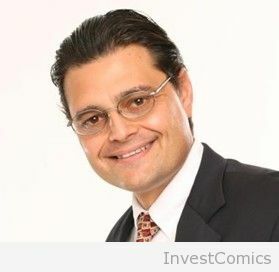 11) Will you be a guest on any upcoming podcasts or industry events in 2012? (PB:) I love to lecture and hold seminars for filmmakers and never turn down an opportunity if I can fit it into my schedule. In March I am speaking at a USC film class and also at a UCLA film class, and I periodically present my free seminar based on the book (most recently teaming with The Writer’s Store where Brandon Bannock and Leimomi Coloretti invited the store’s list of filmmakers), so I am always looking to team with an institution that would like me to bring the information to their group. As I pointed out in answer to a previous question, these opportunities usually arise from the relationships I have been building; however, only under extreme circumstances will I not respond to unsolicited invitations. 12) What’s your favorite lawyer joke? 13) Please give us the websites where we can buy your book online, and also contact information for your law firm. Thanks, Bob, always a pleasure. Appreciate your time, Paul. Always insightful.